I’ve talked about it before, but one of my favorite things to do in life is connecting people with each other. 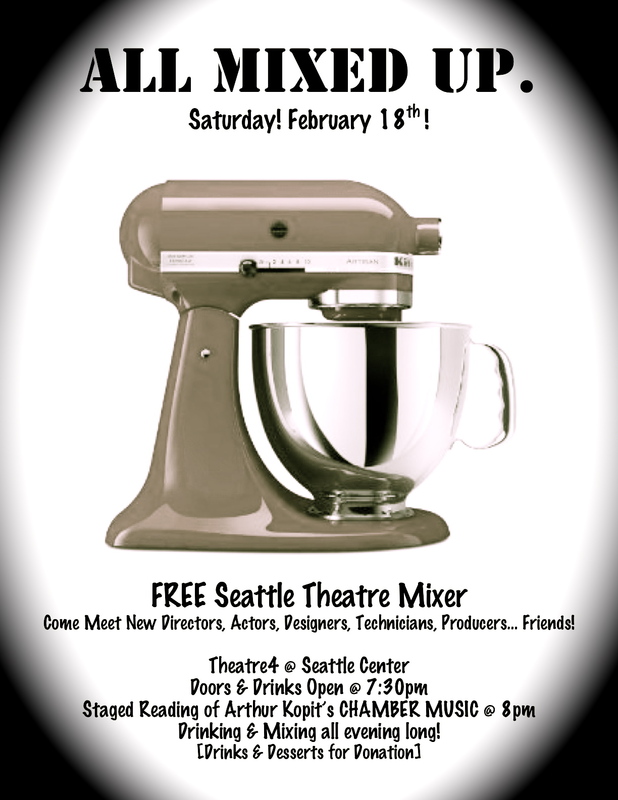 So, this month, Playing in Progress, is hosting a Seattle Theatre Mixer. It will start off with [an hour long] Staged Reading of CHAMBER MUSIC by Arthur Kopit, highlighting an ensemble cast of 8 women & 1 man from varying fields & niches of the Puget Sound theatre community. We hope you can come play with us this Saturday!